Expanding on a strategic partnership with Carbon Black from 2016, Ontario’s eSentire today announced the availability of an endpoint security solution called Managed Endpoint Defense. The new solution is powered by Carbon Black and its next-generation antivirus (NGAV) platform that can prevent threats automatically, including malware and advanced file-less attacks, and it’s available through eSentire’s partner channel. The announcement is a response to the ongoing struggle organizations face when deploying and managing NGAV platforms, according to Sean Blenkhorn, vice-president of solutions engineering and services for eSentire. The numbers appear to back this up. A 2018 Ponemon Institute report says 41 per cent of organizations suggest their biggest challenge with antivirus is complexity, deployment and management, and that less than half of those organizations think they have enough resources to minimize IT endpoint risks. Additionally, nearly 65 per cent of organizations had endpoint attacks that successfully compromised assets or infrastructure in the last 12 months, and that’s with 76 per cent of those organizations using traditional antivirus to protect them. Only 15 per cent of organizations have replaced those traditional antivirus systems with next-gen ones. A 2018 Ponemon Institute report says 41 per cent of organizations suggest their biggest challenge with antivirus is complexity, deployment and management, and that less than half of those organizations think they have enough resources to minimize IT endpoint risks. Infographic from eSentire. “Leveraging our team of security experts and global threat intelligence, we guide our customers through their initial rapid deployment and then continuously adapt to harden, monitor, remediate and protect their business,” Blenkhorn wrote in a blog post. Managed Endpoint Defense powered by Carbon Black Defense adds a layer of prevention and other tool sets that eSentire’s experts use to protect organizations no matter where their employees are based. 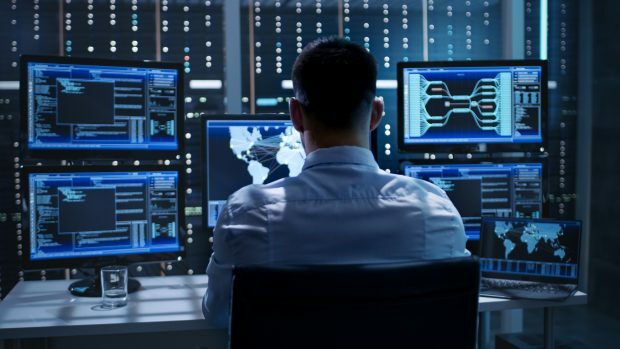 Today’s response to advanced endpoint threats cannot be anything less than a combination of technology, expertise, analytics, automation and intelligence, said Aaron Sherrill, a senior analyst for 451 Research, and that’s something that’s difficult for most enterprises, let alone smaller mid-market businesses, to deliver on their own.